If you’ve ever taken a stroll along an oceanside beach, chances are you’ve come across the rather unappealing piles of rotting seaweed. 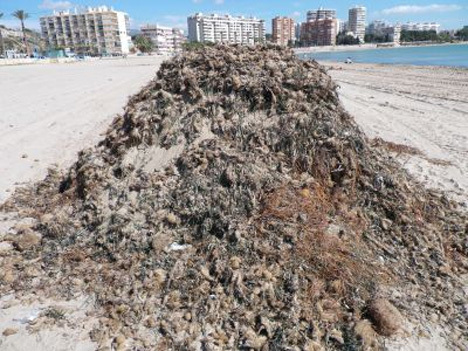 On tourist beaches, the seaweed is usually scooped up periodically and taken to a landfill. There are several problems with this method, though. First, the seaweed takes along a lot of sand and salt water with it, making it extremely heavy and taking up tons of space in the landfills. 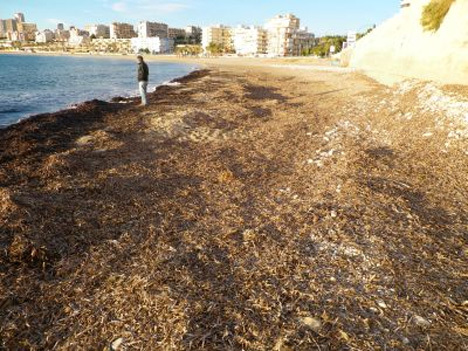 Secondly, the sand that is removed incidentally along with the seaweed has to be periodically replaced – usually with sand trucked in from somewhere else. And finally, the seaweed is usually way too salty to do anything useful with it. But researchers at the University of Alicante in Spain have come up with a rather ingenious way to solve the seaweed problem: a machine that cleans the plant matter, leaves the salt water and sand where it is, and then uses the seaweed as a source of power. Their system would reduce the volume of the gathered seaweed by as much as 80 percent by removing everything unnecessary: water, salt and sand. The concept involves a huge machine that would roll along the beach, being fed rotting seaweed by human workers. In the first chamber the seaweed would tumble around with salt water pumped in from the nearby ocean. The water would drain back into the ocean, taking most of the sand with it. The seaweed would then move to the second chamber, where desalinated sea water would wash most of the salt content off of the seaweed. Finally, the third chamber would dry out the seaweed with solar power-heated air. After that, the seaweed could be compressed into bundles that could be used as biomass fuel in power plants. The brilliant solution would not only help keep the beaches clean; it has the potential to create a tangible positive environmental impact. See more in Energy & Power or under Science. May, 2013.